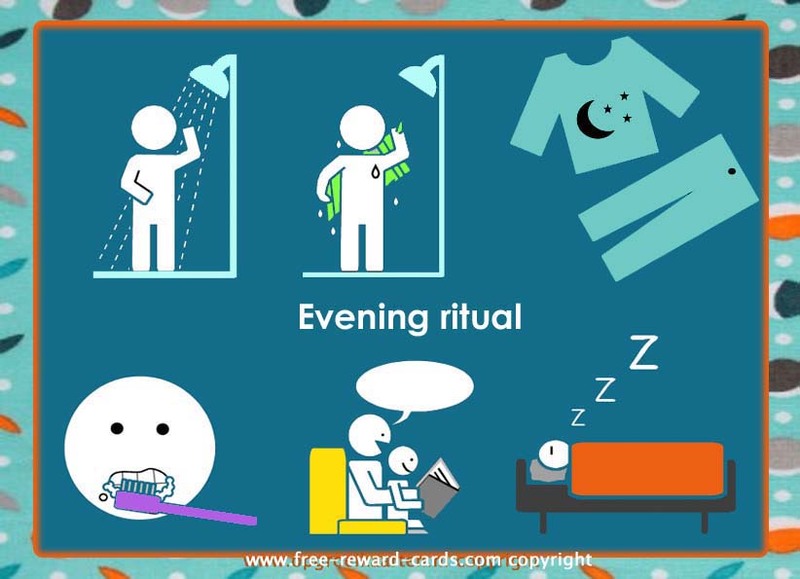 This daily rythm card visualizes with pictograms all actions around the bedtime ritual, like take a shower, dry yourself, brush your teeth, put on pajamas, read a story and sleep. Daily rythm charts can be useful for children with attention deficit hyperactivity disorder (ADHD) or autism disorders. All these daily rythm pictogram cards are free printable via www.free-reward-cards.com. The cards are ment to make parenting more fun and easy for parents and children.